← The Sports Archives – The Cheap-Seat Strategy: Making Nosebleeds Great! The Sports Archives – Why Is Football (Soccer) The World’s Most Popular Sport? Football is a sport that has both stood the test of time and manages to traverse political and personal divides, not to mention international conflict and war zones, with reports of a game even being played between English and German troops in no man’s land on Christmas Day 1915 during the First World War. When Africa hosted the World Cup in 2010, there were seemingly nothing but positive reports from the visiting fans, and pictures portrayed a happy crowd united in one common goal – a love of the game. But what is it that gives the game its appeal? 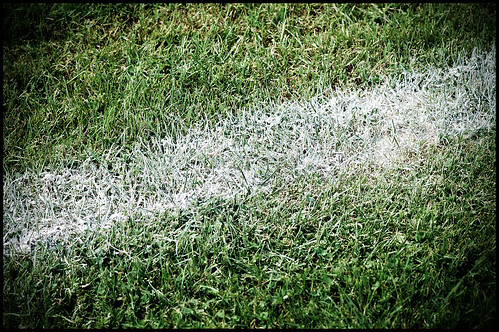 From its formation, football’s popularity seems to have rested on its simplicity. The fact that all you need is a ball and a space is an indicator of why it has always had such wide appeal. In a contemporary context, the simplicity of it also means that it is something that can be played both on your own in the form of drills, and with as few players as two, which means children of all ages can occupy themselves, and practice in their own time. Football coach, Bill Gill, says: “The promotion of football by ambassadors like David Beckham and other celebrity icons as well as TV and other media influences affect both children and parents”, contributing to the propagation of the sport’s popularity. There are many factors that boil down to football’s popular appeal, and no doubt over time they will be added to. However, one thing will always remain constant about the beautiful game, and is the reason that kids from one to 92 will always be fascinated … it’s simple. Author Bio: Lyndon Ogden is a passionate supporter of sports for children and a shareholder in myskillz which features football drills for children on its website. 5 Best Football (Soccer) Players of 2012! This entry was posted in Soccer and tagged 2010 World Cup, Ashton Town FC, Bill Gill, Dan Freedman, David Beckham, football, Football Blogs, Jamie Johnson, Scott Johnson, Soccer, soccer blogs, sport, sports and leisure, Sports Archives, Sports Blogs, World War I. Bookmark the permalink. 11 Responses to The Sports Archives – Why Is Football (Soccer) The World’s Most Popular Sport?